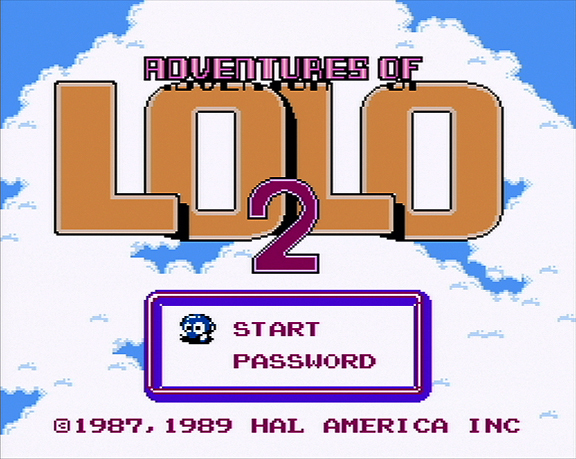 Lolo and Lala are back in this sequel to the popular puzzle game THE ADVENTURES OF LOLO. On their return from the Haunted Castle, the Great Devil kidnaps Lala and challenges Lolo to rescue her again. Now he must take on the challenge of the Great Devil's Tower and Castle mazes. Fortunately, Lala was able to analyze each of the mazes as she was taken to the tower and left clues in the Jewel Boxes in each room. 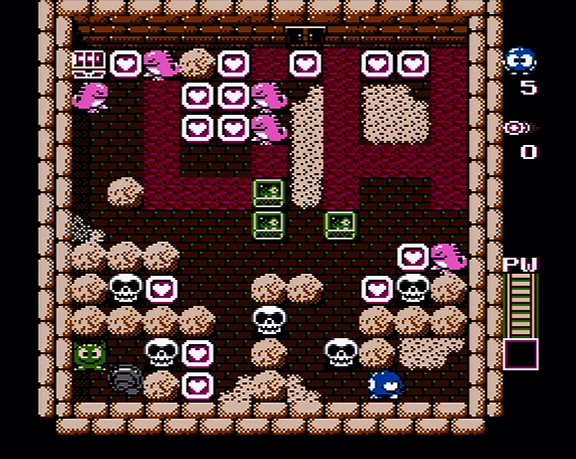 Each Jewel that Lolo collects contains information that will help him in the next room. 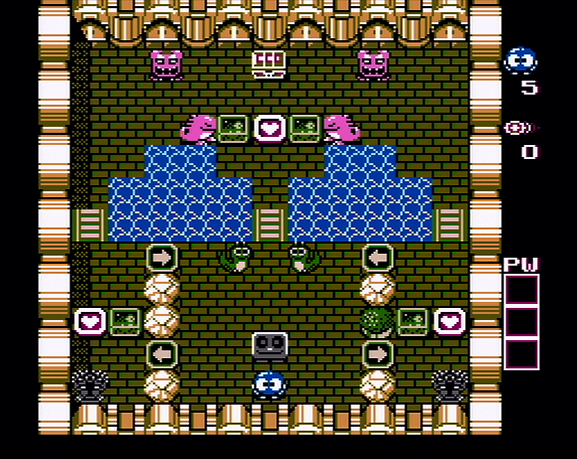 In order to succeed, he'll also have to push tiles, pick up Heart Framers, temporarily turn enemies into Eggs with his Magic Shots and ward off enemy attacks by moving Emerald Framers. With your help, Lolo and Lala will work together to escape the Great Devil's clutches and defeat him.